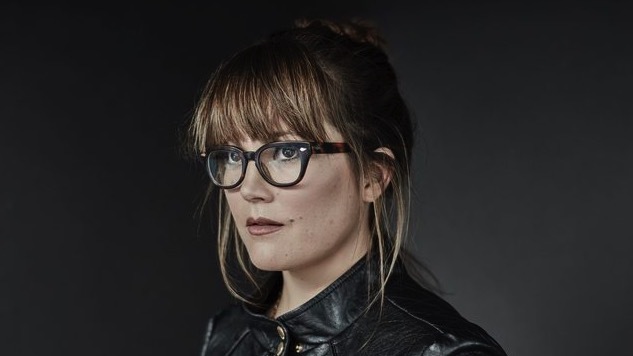 Sara Watkins makes an emphatic impression, both through her music and in her musings. Here she is now, speaking on the phone prior to preparing for her set at the Telluride Bluegrass Festival while sharing her thoughts on her lengthy career, her life as a musician, and the profound joy she finds in plying her trade. In fact, it seems strange that any explanation is in order. The songs on her tellingly titled new album, Young In All the Wrong Ways, reflect a sound that’s both intimate and endearing. The tender, yearning title track, the pretty yet pensive “Like New Year’s Day” and the steady, pleading “Move Me” (in which she tells a would-be paramour, “I want you to love me”) find her expressing herself with an unmistakable clarity of purpose. That assertive stance is especially evident on those songs that find her engaged in a country caress—the uptempo “One Last Time” and the spunky showstopper “The Truth Won’t Set Us Free” in particular. They offer proof that she’s attempting to find her footing in ways that mix both sass and sentiment. That seems logical, especially considering the fact that she’s been making music most of her life, beginning at the tender age of eight when she, her brother Sean and Chris Thile banded together in the bluegrass band known as Nickel Creek. She’s been at it ever since, shifting through a varied string of ensembles, among them WPA, Mutual Admiration Society and the Watkins Family Hour, most of which find her regrouping with her brother Sean. In truth, the two are inseparable, both as siblings and as musical collaborators, given the fact that she’s performed with him throughout her career. He’s contributed to her three solo outings and she’s loaned her efforts to the individual efforts he’s recorded as well. Watkins claims the new album became something of a challenge to herself, a way of severing certain relationships—her management and her former record company included. Likewise, writing an entire album was something new, a tack she hadn’t tried before. In the past she relied more on cover tunes to convey her feelings. This time, she opted to distill her personal experiences through those things she observed in others. It was, she admits, a bit like therapy. Ultimately then, for all the uncertainty and entanglements, Watkins finds little to complain about. She finds her current set of circumstances practically ideal.